What Will the Resume Look Like in Ten Years? Over the past ten years, many elements of the resume have changed. That’s not to say that the professional resume hasn’t continually evolved since its creation, which is attributable to Leonardo da Vinci. The resume is a document subject to evolution, just like everything else. With every new piece of technology, an aspect of the resume changes. What exactly is different in the way resumes are written now versus how they were written ten years ago? What does that mean for resumes in the future? One resume used to be enough. You would have one resume crafted, generic in content, listing your previous jobs and responsibilities. Numerous copies of that resume would be printed on expensive resume paper and it was used for every job application. Employers would receive applications from roughly ten people per post and take the time to review each resume. That isn’t the case now. Each job you apply to should have a variation of your resume with no repeats, the exception being applications to the exact position with other companies. However, more than likely, there will be keywords that differ from company to company. 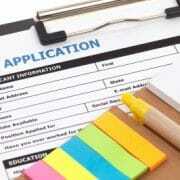 With the way resumes are now submitted, electronically, companies might receive hundreds of applications per post. 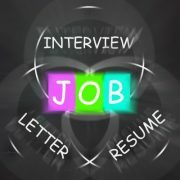 It is easy for employers to weed out applicants with some type of resume-screening software, making keywords necessary. The software will eliminate applicants who don’t meet the keywords, narrowing the applicant pool. Some companies may still review each resume by hand, but customization is still important. Resumes have been sent by every method – snail mail, fax, email, donut delivery – and that will probably not change. In the past, you sent your resume by snail mail, waiting to hear back from the hiring manager once they have personally reviewed it. 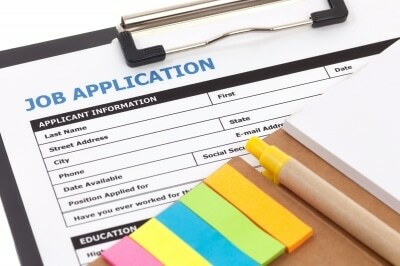 Now, email and online job application submission are the most common method of resume acceptance. Hiring managers typically use a hard-copy of the resume to take notes during the actual interview, which could change with the use of a tablet in the future, but that seems an unlikely progression given the interview environment. Having an online presence is necessary and can increase your chances of being asked to interview. The challenge lies in how you present yourself and through what type of online resource – portfolio, LinkedIn profile, website, etc. 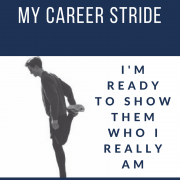 Your resume, at one point in your career, was a conglomeration of all your past jobs, the skills you needed for each one, and what duties you performed. However, there is such a thing as too much information. The current practice is to provide all relevant information that pertains to the job you’re applying to. As mentioned earlier, you will accumulate resumes specific to certain types of jobs and may have many versions of the same information. You will also leave out past positions that aren’t relevant, like the very first job you had waiting tables or cashiering. Leaving out the irrelevant gives you room to expand upon your expertise in your field, including major accomplishments and special training. Highlight what you know best and show the employers what you can do. Minimizing the fluff in your resume will benefit you in the long run because most hiring managers use software to analyze resumes. The software is designed to recognize keywords within the resume and weed out applicants. While you should make yourself stand out from the crowd, you don’t want to overshare personal details to your potential new employers. It was common to add personal statements with details like your age, marital status, children, hobbies, religion, or even a photograph. Now, employers really don’t want to see information unless it is directly related to the job – they would actually prefer not to know personal details. Personal details on a resume leave the employer in a tricky situation because they could then be accused of discrimination based on those personal interests, your appearance, or affiliations. Really, the rule of thumb here is: When in doubt, leave it out. You do want to be unique, but it should be shown through what you can do for that employer. Portfolios, websites, and social media create the whole picture for an employer. We are living in an age of technology where nearly every document can be forged – saying things or having them on your resume isn’t necessarily enough. If you say you can do something, you need to be prepared to demonstrate your talents. Proper grammar and spelling are the only things that will never change when it comes to a professional resume or document. What will resumes look like in our future? There is no guaranteed response to this, but predictions are welcome. Will we move to only using social media, like LinkedIn, as our means of job application and personal representation? It is always possible to move back to a simpler representation of the resume, however unlikely. Looking back through the history of resume evolution, dating back five centuries, it would be unlikely that a professional resume would stop being part of the job application process, but what it will look like is still a bit of a mystery. Remember, the only constant in this world is change. 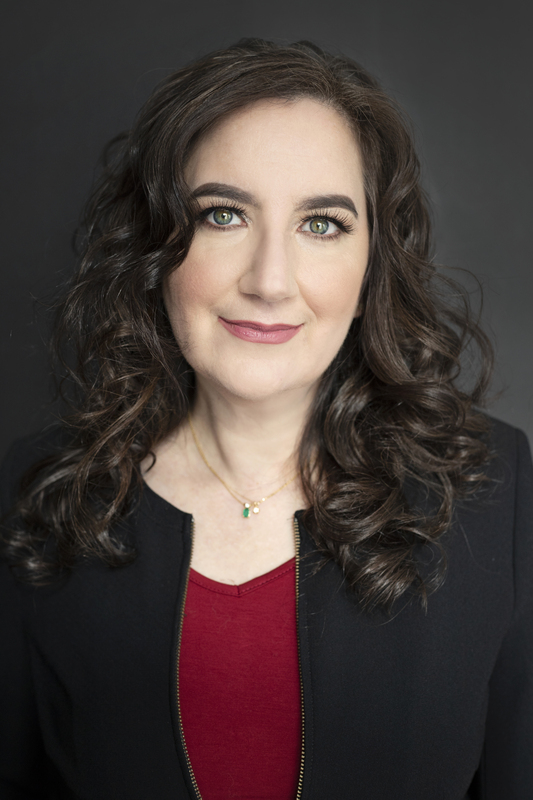 https://www.fivestrengths.com/wordpress/wp-content/uploads/2016/11/ID-100263743.jpg 400 400 Amy L. Adler https://www.fivestrengths.com/wordpress/wp-content/uploads/2016/04/Five-Strengths-Logo.png Amy L. Adler2016-12-01 09:00:412016-12-05 09:57:15What Will the Resume Look Like in Ten Years? Resumes display your accomplishments, are your marketing tools, and are the foundation of your brand. While keeping yours up-to-date can be painstaking or time-consuming, doing so is important. You never know when you will need your resume. Not only do you need it if, worst-case scenario, you are in the market for a new job or career path, but resume writing can help you reflect on your professional development and even prepare for your next annual review. Why should you update your resume? You may be asked to or want to present at a conference, publish any of your work, or sit for an interview. Providing the media or conference organizer with your resume will back up your information. Then, you can add that experience to your resume! Colleagues can nominate you for awards, but your resume usually needs to be presented to the awards committee for validation. An up-to-date resume will reveal all of your achievements in a way you are confident and comfortable with. Waiting until asked will result in a rush to fix that years old resume and scrambling to come up with something that won’t represent yourself well. While you might not be looking for a new job or career, you may decide to pick up side jobs. 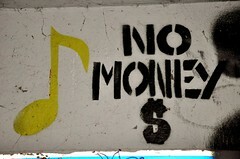 Freelancing is a good way to earn some spending money and add on to your skill set. However, most contracted work requires a current resume. If you keep your social media (LinkedIn) up to date as well, a recruiter might reach out to you. Your skills and experience draw attention. Recruiters look for the best fit candidates despite job standing. Of course, you can turn down any offers or ignore recruiters, but keep that resume recent on the off chance you might be interested. Promotion opportunities don’t become available often. If your resume is current, you can apply for that promotion quickly, without having to take the time to change it. When creating your resume, think about what an employer wants to see. What are they looking for and what experiences will set you apart from other potential candidates? Resumes are a snapshot of you as a person and most employers spend about ten seconds perusing a resume unless they find something worth further inspection. Electronic documents are used much more often than paper, so keep that in mind. 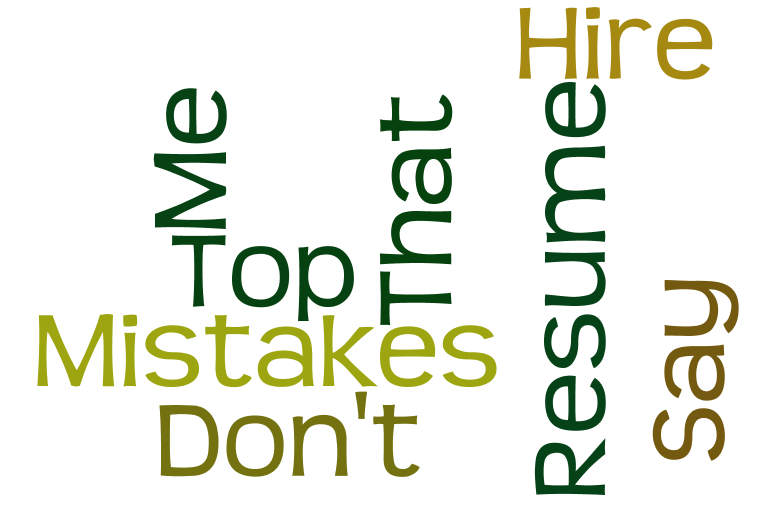 If your resume looks like everyone else’s, it will be treated in kind. Employers also appreciate consistency. When taking the time to recent your resume, be consistent — meaning don’t just update LinkedIn if your resume is posted on several other social media profiles. And take the time to tailor it to a job you are interested in. If you want to highlight your skills for one job but experience for another, create different copies of your resume to that effect. Think about your resume like a long-term career management tool. When you sit down to update it, you have the opportunity to examine your personal values, communication-style, and experiences to display them in a manner that will set yourself apart from your competition. It is a great way to highlight all of your experiences and reflect on where you’ve been to how far you’ve come in your career. 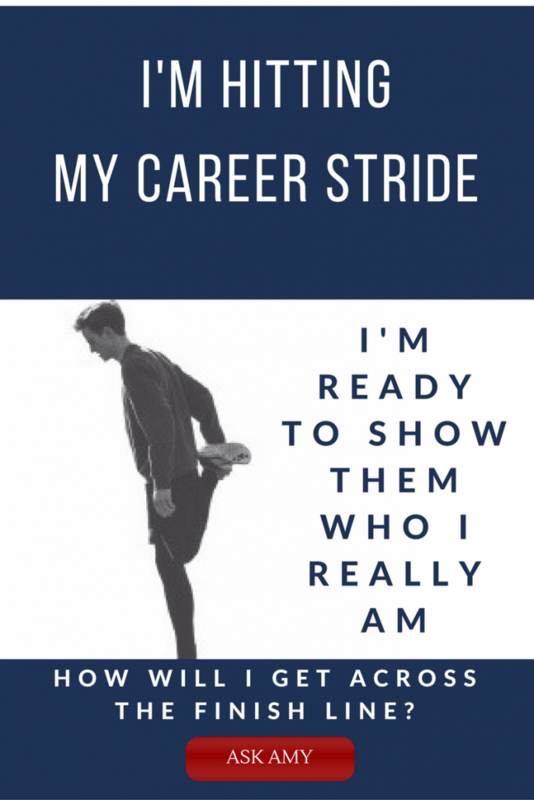 Using a resume to reflect on all of your positions and skills gives you an opportunity to be confident in your abilities and know exactly of what you are capable. Even if you aren’t currently looking for a job, you should keep it as up-to-date as possible. Don’t wait until you need a resume, keep one on hand for worst-case scenarios or if you are pursuing a step up in your career field. I am constantly amazed at how much people are willing to spend on what they think will help them get a job. They assume, wrongly, that they can find a job more quickly if they throw money at the problem. Let’s set up a job search budget that you can use to help you find a job quickly without overspending your shoestring budget. Whether it’s because of the economy or because of individual job seekers’ situations, I hear it all the time: I don’t have the money to spend on my job search. Let’s break down the costs of your job search and help you define your boundaries to get you to your new job quickly. Free use of a computer. If you are not searching for jobs online and using e-mail intelligently, you are putting yourself out of the game. Luckily, most public libraries have computers that are free for the public to use. Printing on their printers costs very little, perhaps $.10 to $.25 per page. They often have open source software, which you can use to save your documents in Microsoft Word, the document format of choice. Free email. You don’t need to pay a service to get great e-mail. Sign up for a professional email account with Yahoo!, Gmail, or Hotmail. You can access this account from any computer connected to the Internet. Free job clubs. Most cities these days have job clubs that are run by experts in job search. These might meet monthly or more frequently, and they might be run in a church, synagogue, public library or community center. They all give their participants a chance to learn new strategies about job searching and opportunities for networking. Free resume assistance. You can get free resume assistance in person from your local Workforce Services in addition to the myriad other services they provide. If you need samples of excellent resumes that got people the interviews they want, then sign up here http://eepurl.com/cGxMo for my free e-book on resumes and cover letters that got the interviews. Your local Department of Workforce Services. Get free advice on job search, access to job opportunities in the public and private sector, and free assistance with job search tools. Your personal network. Reach out to 10 people every day; ask them about what they do in an informational interview. Ask for recommendations from them for additional people to connect with via LinkedIn or on the phone. If you’re a relatively recent graduate, your professors. Many academics have close ties with industry. See about getting in on a research project or securing a critical introduction from a trusted academic mentor. Are Free Professional Resume Writing Services Worth It? As for free professional resume writing services? Don’t expect much from them. Only hire an expert to do the complex work of crafting your personal and professional brand in a resume. In other words, don’t waste your money on the cheap resumes that don’t work. Ask for credentials, such as the Certified Advanced Resume Writer credential, which I have (in addition to an MBA and Master of Arts in publishing). Successful professional resume writing is not cheap, and it’s not free. But it is likely cheaper in the long run than it will cost you day by day to delay your deserved success. What free job search tools do you recommend to job seekers? Wondering How to Get a Job Fast? If you’re wondering how to get a job fast, you need to stop spinning your wheels and start focusing. Here are 6 tips on how to focus your job search so you can get the right job quickly. 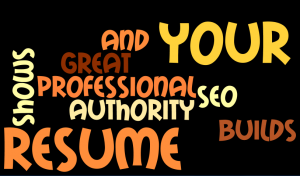 Hire a professional resume writing service. Your first impression has to be 100% perfect. If you’re not confident that you can write a resume that makes the phone ring, call a professional resume writer to get the job done. The money you spend will pay itself back in job search speed and increased salary. Stop sending out dozens of resumes. No local market has tens or dozens or hundreds of jobs that are right for you. You might find 3 or 4 in a day’s research, but certainly not more than that. Stop wasting time sending out resumes for jobs that you a) are not interested in, and b) you’re not qualified for. Join a job club. Networking is hard for job seekers, even for the savviest among you. 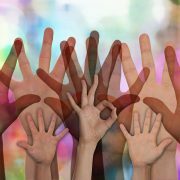 By joining a job club, either locally or virtually, you’ll find there is a support structure that can help you overcome the difficulties of introducing yourself and communicating your needs effectively. Job clubs also often have the benefit of being led by experts in job search. Cold call one or two people you don’t know who have jobs similar to the one you are targeting. Politely request a phone meeting with them of about 15 minutes in length. Use that time to ask specific questions about their position, what they like, what they don’t like, how they got where they are. You’ll find that people love to talk about themselves, and you’ll get great information for your own job search. N.B. : Don’t ask these people for a job. If you have to ask them anything, ask if they know someone you should meet; get that person’s phone number and use it to set up another cold-call meeting. Rework your LinkedIn profile. Change your URL to a vanity URL. Pepper your profile with critical keywords. Ask or answer a question. Learn about anything with the Updates function. 6. Practice interview questions. You’ll need to know those answers when you’ve completed #1-5 above—the more focused you are, the easier it will be for you to get a job fast. Have questions about how to get your job faster than you can do it alone? Call me at 801-810-JOBS to learn about my professional resume writing service. If you haven’t written a resume in the last decade or more, that’s a good thing. Writing “Resume” at the top of the first page. On the one hand, that’s overstating the completely obvious, and you’re wasting important resume real estate that could be used more strategically (see #10 below). 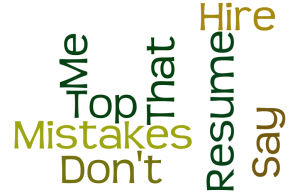 On the other, if you ever upload your resume to apply for jobs, that is to an electronic applicant tracking system (ATS), you’ll forever be known in the database as Resume No Last Name, which won’t help you when a recruiter is looking for you. Including an I-want objective rather than a statement of value, (personal branding statement). 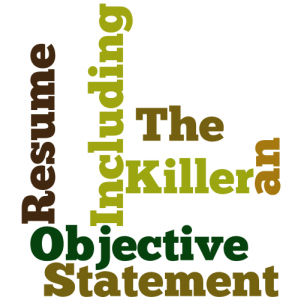 Objectives are passé, as they focus on the candidate’s needs rather than the hiring manager’s requirements. Job seekers over 40 need to remember that until they are offered the position, everything they do or say in the job search process has to focus on solving the hiring manager’s pain, not their own. Including the dates of your college or university education. We can all subtract 22 from that year and get a sense of the applicant’s vintage. To avoid potential age discrimination, a job candidate should not telegraph her age on the resume. Not including an e-mail address. Older workers need to have a professional e-mail (not their company’s) for job search purposes. Including an e-mail shows that the candidate is not technology-averse and is available for communication at any time of day. Using a home telephone line. When a job hunter uses a home telephone number that is likely to be answered by children, it indicates to the hiring manager that the candidate might have certain liabilities, for example, insurance requirements or need for impromptu time off. As mobile phones are so prevalent and inexpensive, a job seeker over 40 should maintain mobile phone service, using a professional voice mail recording, that only she or he will be answering. For that matter, you don’t have to mention on your resume that the number you’re giving is your mobile number. People likely will expect you to use your mobile number, especially for direct accessibility but also for texting. Don’t have a mobile number? You can simulate having one, or add a separate number just for your job search at ZERO cost to you (this is my favorite job search hack—ask me about it. I’ve been using this hack for myself for almost a decade.). Writing a resume that is only 1 page when you have 3 pages’ worth of good, relevant experience. Let’s face it–hiring managers are likely to stop reading your resume after one or two pages if you are giving them boring details that don’t relate to their needs. But what if you have a lifetime’s worth of great, relevant experience? You absolutely should tell your future hiring manager about your great accomplishments, so they can see the answer to their problems in your professional history. Writing about more than 10 years’ worth of job roles (and balancing your breadth and depth of experience with #5 above). Hiring managers are focusing on what a candidate can do for them today—not what they were expected to do 20 years ago. Professionals over 40 should use resume real estate wisely and hit their most recent (or their most relevant) positions the hardest and give a fair amount of attention to 3–4 additional prior roles. If the candidate has a critical, relevant element of experience that is older than 10 years, he can include a line or two about it at the end of his executive experience section—without dates of employment. Not including a personalized (vanity) LinkedIn profile link. LinkedIn is the social medium most likely to be utilized by hiring managers and recruiters in the job search process. Candidates over 40 should take advantage of this free service and create a profile that makes a hiring manager want to pick up the phone. With that in mind, someone in the job market must create a vanity URL (available in the profile options) and put that link in the header of his resume. Writing about only soft skills and not about accomplishments. Soft skills are critical in any job, but would “great team player” be anything but an expectation for a hiring executive’s new employee? Job seekers over 40 must remember that reporting on accomplishments—the successes they’ve demonstrated for each job—is what gets hiring managers’ attention. Writing about only accomplishments and no soft skills (see #9 above). Challenge yourself to include the best of your experience by showing rather than telling your future hiring executive the half dozen reasons you’re the right choice to solve their problems right now.